Yet another concept paper for us to read; BNM is really making us work hard for our salaries. 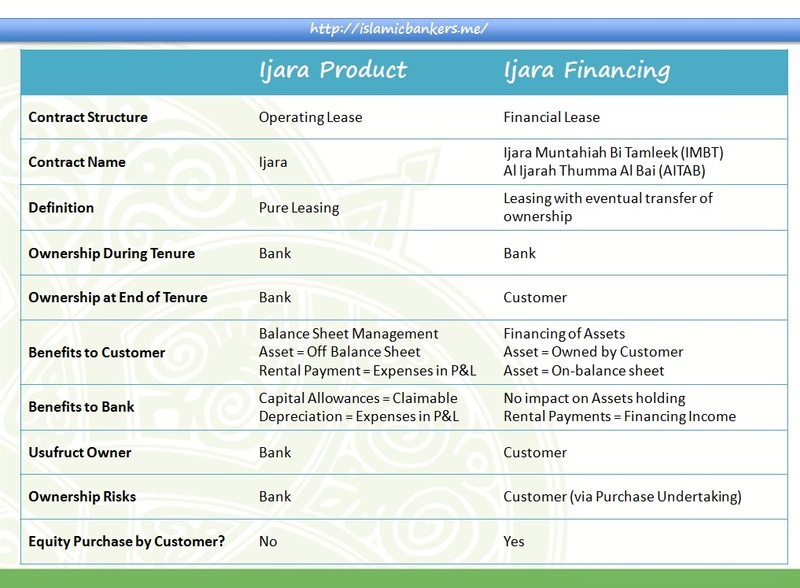 The contract of Istisna’a is covered in this concept paper, traditionally used in a hybrid arrangement of a mortgage product for properties under construction. In the Middle East we are used to see Istisna’a as a standalone arrangement, and with this concept paper, it seems like a step by BNM in aligning the contracts used by Malaysian Islamic Banks with the practices in the Middle East. With this Concept Paper, the way is paved for Istisna’a to finally stand alone as it’s own contract rather than part and parcel of another overarching structure, such as Musyaraka or Ijara. But that doesn’t mean that it is not without its challenges. If Istisna’a is bundled amongst a variety of other contracts, many issues can be catered for in the other contracts and its documentation. Now, reading the CP, few glaring challenges needs a rethink if Istisna’a is to be the viable answer to properties under construction. The first, and perhaps the most significant item is the role of the Bank which leads to the next significant issue ie ownership. The CP envisioned scenario where the role between Bank and Customer is Bank as developer and Customer is, well… customer. This is a role reversal to what many banks are used to. 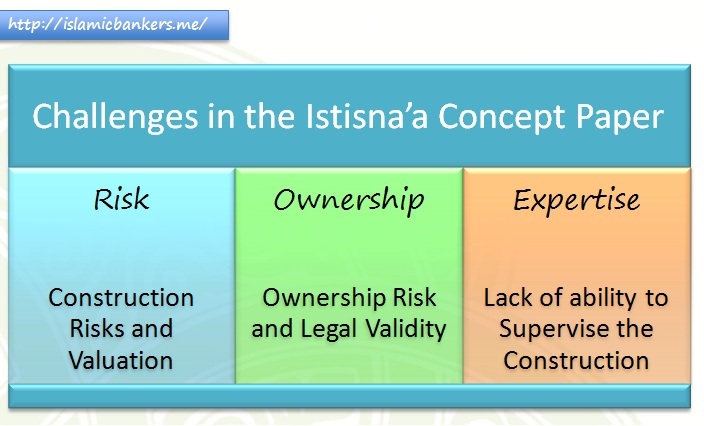 The Istisna’a that I am used to seeing in Malaysia is that the Customer undertakes to construct the property (via their selected property developer); by this the construction risks remains with the Customer who undertakes the role of developer. The customer therefore ensures that the property is eventually delivered. Without recourse especially in cases of project abandonment. But with the CP, the game changes. The Bank now must act as the party that’s responsible in delivering the property; effectively this means the role of the developer itself. The construction risks now lies with the Bank. The Bank must ensure that the property is delivered to specifications else the customer have room to renegotiate the terms of the Istisna’a, including cancellation of the whole transaction if the property is deemed to be “not as per requirements”. While the risks of such things happening is remote, the risks remains there and is real. Especially if we are dealing with small developers developing projects in remote areas. There is a real risk these small developers disappearing and the property, even if it got completed, is unsaleable due to location or market factors. The Sale & Purchase Agreements (S&P) is a document signed between the customer and the construction developer. The bank is not a party to this transaction, therefore the Bank’s name do not appear there. So how then, do we evidence ownership transfer and validating the contract between the Bank (as developers) and Customer? The developer will hardly want to transfer its rights and responsibilities to a Bank unless the Bank outright purchases the property, and during construction, how will it be possible? Back in the day when Bai Bithaman Ajil (BBA) was the “deal of the day”, this curious creature called Novation Agreement was used. It is an agreement used to bind 3 parties to the arrangement, a tri-part ate agreement that developers sign to allow to transfer beneficial ownership to the Bank to allow the sale transaction between Bank and Customer. Not many developers want to sign this, but in instances where they did, it provided a way out on the issue of ownership before the sale. Yet this curious being has disappeared from the landscape, as many users gets jittery when there are more and more documents to sign. It could be worth to consider this approach again, on an industry-wide basis rather than individual practitioners. Make it an industry document, get standard legal opinion, get buy-ins from developers on the need for this document and remove all the doubts on ownership. Novation Agreement might not be a bad thing but maybe some work needs to be done to satisfy the legal peculiarities relevant to each stakeholders. 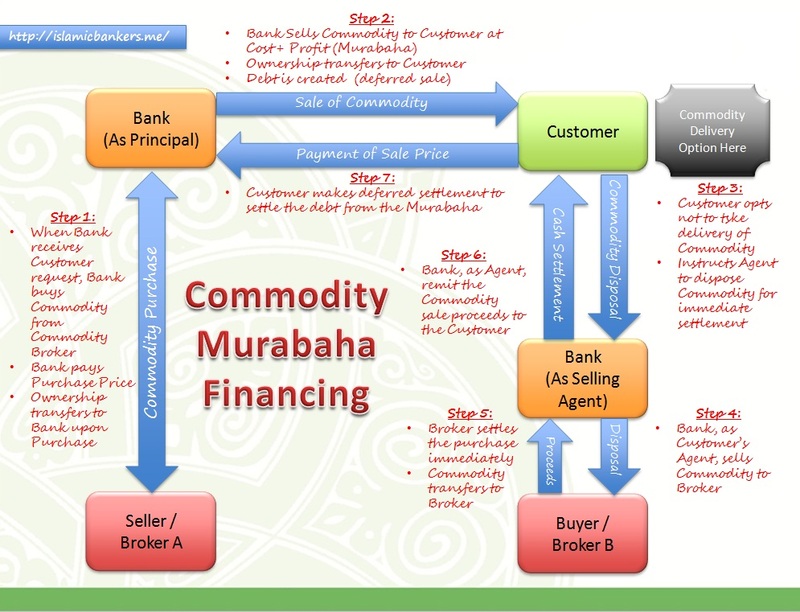 This is where the Banks lack when you consider Istisna’a contract in its spirit. Under Istisna’a, the responsibility to ensure the properties are completed, functional and deliverable to the customer rests on the shoulders of Banks. As a matter of principal, Banks are traditionally financial institutions, not geared to be engaged as “property developer”. The risk of development is always transferred to the developers, and not held by Banks. To have a unit set-up to monitor the construction of the properties requires specialised personnel who understands the nitty gritty of property development is hardly effective or efficient. Developers would also be wary of Banks trying to trespass into their territory of expertise. My view, let the developers be developers and Bankers remain bankers. Istisna’a structures are fairly new in Malaysia; while it is being used in the market, but it always has been part of the larger collection of contracts in a financing arrangement. To have it stand-alone on its own, there is a need to re-think the legal requirements to ensure the Istisna’a can be accepted as a viable Islamic contract. The Murabahah Standards looks interesting, and so is the Mudarabah Concept Paper. Do have a read and tell us what you think. Looking forward to the coming holidays.